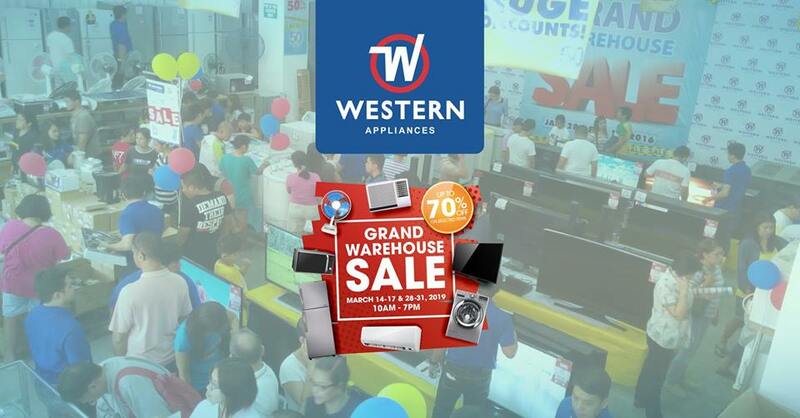 Supercharge your home with brand new devices and tools at a discounted rate from Western Appliances Grand Warehouse Sale 2019! 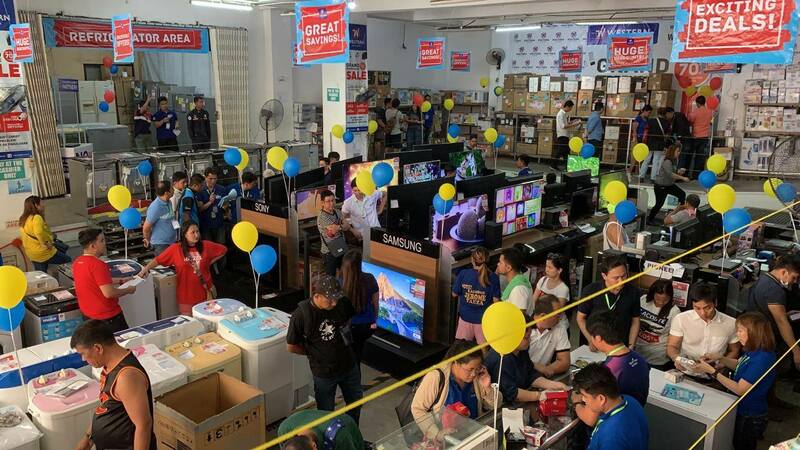 The annual Western Appliances Grand Warehouse Sale 2019 is back with tons of open-box home and office appliances at the best deal. Make your housework a joy, not a chore and enjoy whopping discounts up to 70% OFF on wide section appliances from TV, Refrigerators and Air-conditioner, Speakers, Washing Machines to Microwave, Rice Cooker and many more! 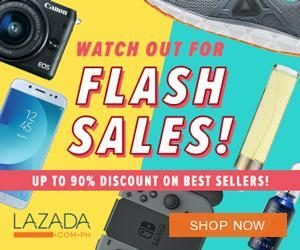 Don’t miss your chance to take home your brands like Sony, Samsung, Panasonic, Sharp, Carrier, Pioneer, GE, Whirlpool, TCL, American Home, Haier and many more! Visit their warehouse on March 14 to 17 and March 28 to 31 from 10:00 AM to 7:00 PM. 🔵From Cubao/Makati/Ortigas – Ride a bus at EDSA with Monumento MCU signboard then asked to be dropped off at Muñoz. From there, ride a jeep with a Quiapo signboard and asked to be dropped off at Frisco Morato St. From there, ride a tricycle and tell the driver to bring you to Western Appliances Grand Warehouse Sale (Dagupan St. Brgy. Mariblo). 🔵From Monumento – Ride a bus with Ayala signboard then asked to be dropped off at Muñoz. From there, ride a jeep with a Quiapo signboard and asked to be dropped off at Frisco Morato St. From there, ride a tricycle and tell the driver to bring you to Western Appliances Grand Warehouse Sale (Dagupan St. Brgy. Mariblo). 🔵From Quiapo – Ride a bus/UV express with an SM Fairview signboard then asked to be dropped off at Fishermall. Look for the tricycle station beside Fishermall and ask the tricycle driver to bring you to Western Appliances Grand Warehouse Sale (Dagupan St. Brgy. Mariblo). 🔵From Novaliches/Commonwealth – Ride a bus/UV express with a Quiapo signboard then asked to be dropped off at Fishermall. Look for the tricycle station beside Fishermall and ask the tricycle driver to bring you to Western Appliances Grand Warehouse Sale (Dagupan St. Brgy. Mariblo).